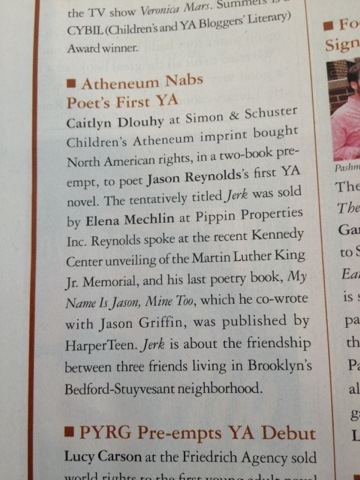 I’m featured in Publishers Weekly! I mean, it’s not super major…but it’s major! That is major homie! I enjoy reading your blog every morning. I definitely want to comment on the Bob Marley post. He found me too and has been my favorite artist all around ever since.